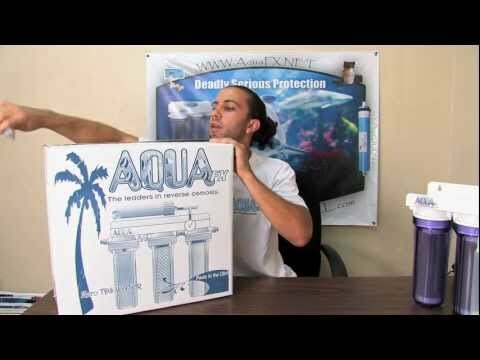 The Barracuda is a Reverse Osmosis and Deionization system. The standard unit comes with 1-micron sediment filtration, a carbon block for VOC reduction, a DOW membrane, and a color indicting deionization (DI) resin cartridges. In most instances, this unit will provide laboratory grade water. WHICH FILTER GOES IN WHICH POSITION? Sediment filter is always a first stage followed by carbon stage. After carbon water is directed over the RO membrane and than into DI resin stage.